The Lombards under King Wacho had migrated towards the east into Pannonia, taking advantage of the difficulties facing the Ostrogothic Kingdom in Italy following the death of its founder, Theodoric in 526. 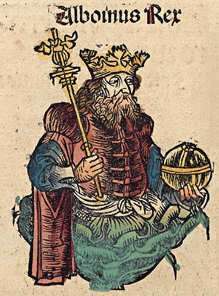 Wacho's death in about 540 brought his son Walthari to the throne, but as the latter was still a minor the kingdom was governed in his stead by Alboin's father, Audoin, of the Gausian clan. Seven years later Walthari died, giving Audoin the opportunity to crown himself and overthrow the reigning Lethings. Despite his success against the Gepids, Alboin had failed to greatly increase his power, and was now faced with a much stronger threat from the Avars. Historians consider this the decisive factor in convincing Alboin to undertake a migration, even though there are indications that before the war with the Gepids a decision was maturing to leave for Italy, a country thousands of Lombards had seen in the 550s when hired by the Byzantines to fight in the Gothic War. Additionally, the Lombards would have known of the weakness of Byzantine Italy, which had endured a number of problems after being retaken from the Goths. 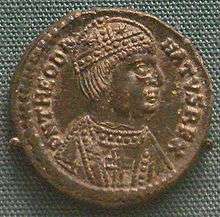 In particular the so-called Plague of Justinian had ravaged the region and conflict remained endemic, with the Three-Chapter Controversy sparking religious opposition and administration at a standstill after the able governor of the peninsula, Narses, was recalled. Nevertheless, the Lombards viewed Italy as a rich land which promised great booty, assets Alboin used to gather together a horde which included not only Lombards but many other peoples of the region, including Heruli, Suebi, Gepids, Thuringii, Bulgars, Sarmatians, the remaining Romans and a few Ostrogoths. But the most important group, other than the Lombards, were the Saxons, of whom 20,000 participated in the trek. These Saxons were tributaries to the Frankish King Sigebert, and their participation indicates that Alboin had the support of the Franks for his venture. The precise size of the heterogeneous group gathered by Alboin is impossible to know, and many different estimates have been made. Neil Christie considers 150,000–500,000 to be a realistic size, a number which would make the Lombards a more numerous force than the Ostrogoths on the eve of their invasion of Italy. Jörg Jarnut proposes 100,000–150,000 as an approximation; Wilfried Menghen in Die Langobarden estimates 150,000 to 200,000; while Stefano Gasparri cautiously judges the peoples united by Alboin to be somewhere between 100,000 and 300,000. The Lombard migration started on Easter Monday, April 2, 568. The decision to combine the departure with a Christian celebration can be understood in the context of Alboin's recent conversion to Arian Christianity, as attested by the presence of Arian Gothic missionaries at his court. The conversion is likely to have been motivated mostly from political considerations, and intended to consolidate the migration's cohesion, distinguishing them from the Catholic Romans. 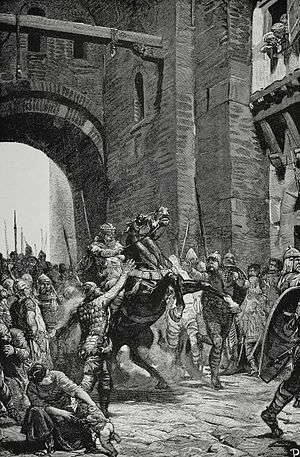 It also connected Alboin and his people to the Gothic heritage, and in this way obtain the support of the Ostrogoths serving in the Byzantine army as foederati. It has been speculated that Alboin's migration could have been partly the result of a call from surviving Ostrogoths in Italy. Several explanations have been advanced to explain the swiftness and ease of the initial Lombard advance in northern Italy. It has been suggested that the towns' doors may have been opened by the betrayal of the Gothic auxiliaries in the Byzantine army, but historians generally hold that Lombard success occurred because Italy was not considered by Byzantium as a vital part of the empire, especially at a time when the empire was imperilled by the attacks of Avars and Slavs in the Balkans and Sassanids in the east. The Byzantine decision not to contest the Lombard invasion reflects the desire of Justinian's successors to reorient the core of the Empire's polices eastward. The impact of the Lombard migration on the Late Roman aristocracy was disruptive, especially in combination with the Gothic War; the latter conflict had finished in the north only in 562, when the last Gothic stronghold, Verona, was taken. Many men of means (Paul's possessores) either lost their lives or their goods, but the exact extent of the despoliation of the Roman aristocracy is a subject of heated debate. The clergy was also greatly affected. The Lombards were mostly pagans, and displayed little respect for the clergy and Church property. Many churchmen left their sees to escape from the Lombards, like the two most senior bishops in the north, Honoratus and Paulinus. 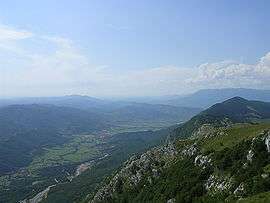 However, most of the suffragan bishops in the north sought an accommodation with the Lombards, as did in 569 the bishop of Tarvisium Felix when he journeyed to the Piave river to parley with Alboin, obtaining respect for the Church and its goods in return for this act of homage. It seems certain that many sees maintained an uninterrupted episcopal succession through the turmoil of the invasion and the following years. 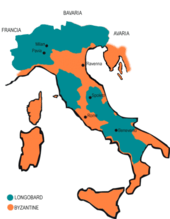 The transition was eased by the hostility existing among the northern Italian bishops towards the papacy and the empire due to the religious dispute involving the "Three-Chapter Controversy". In Lombard territory, churchmen were at least sure to avoid imperial religious persecution. The weakening of royal authority may also have resulted in the conquest of much of southern Italy by the Lombards, in which modern scholars believe Alboin played no role at all, probably taking place in 570 or 571 under the auspices of individual warlords. However it is far from certain that the Lombard takeover occurred during those years, as very little is known of Faroald and Zotto's respective rise to power in Spoletium (Spoleto) and Beneventum (Benevento). Elements present in Marius' account are echoed in Paul's Historia Langobardorum, which also contains distinctive features. One of the best known aspects unavailable in any other source is that of the skull cup. In Paul, the events that lead to Alboin's downfall unfold in Verona. During a great feast, Alboin gets drunk and orders his wife Rosamund to drink from his cup, made from the skull of his father-in-law Cunimund after he had slain him in 567 and married Rosamund. Alboin "invited her to drink merrily with her father". This reignited the queen's determination to avenge her father. The tale has been often dismissed as a fable and Paul was conscious of the risk of disbelief. For this reason, he insists that he saw the skull cup personally during the 740s in the royal palace of Ticinum in the hands of king Ratchis. The use of skull cups has been noticed among nomadic peoples and, in particular, among the Lombards' neighbours, the Avars. Skull cups are believed to be part of a shamanistic ritual, where drinking from the cup was considered a way to assume the dead man's powers. In this context, Stefano Gasparri and Wilfried Menghen see in Cunimund's skull cup the sign of nomadic cultural influences on the Lombards: by drinking from his enemy's skull Alboin was taking his vital strength. As for the offering of the skull to Rosamund, that may have been a ritual request of complete submission of the queen and her people to the Lombards, and thus a cause of shame or humiliation. Alternatively, it may have been a rite to appease the dead through the offering of a libation. In the latter interpretation, the queen's answer reveals her determination not to let the wound opened by the killing of her father be healed through a ritual act, thus openly displaying her thirst for revenge. Peredeo's figure and role is mostly introduced by Paul; the Origo had for the first time mentioned his name as "Peritheus", but there his role had been different, as he was not the assassin, but the instigator of the assassination. In the vein of his reading of the skull cup, Goffart sees Peredeo as not as a historical figure but as an allegorical character: he notes a similarity between Peredeo's name and the Latin word peritus, meaning "lost", a representation of those Lombards who entered into the service of the Empire. Alboin's death had a lasting impact, as it deprived the Lombards of the only leader they had that could have kept together the newborn Germanic entity. His end also represents the death of the last of the line of the hero-kings that had led the Lombards through their migrations from the Elba to Italy. His fame survived him for many centuries in epic poetry, with Saxons and Bavarians celebrating his prowess in battle, his heroism, and the magical properties of his weapons. The coup ultimately failed, as it met with the resistance of most of the warriors, who were opposed to the king's assassination. 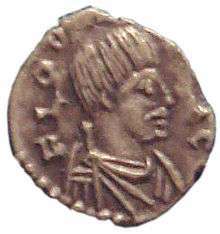 As a result, the Lombard garrison in Ticinum proclaimed Duke Cleph the new king, and Helmichis, rather than going to war against overwhelming odds, escaped to Ravenna with Longinus' assistance, taking with him his wife, his troops, the royal treasure and Alboin's daughter Albsuinda. In Ravenna the two lovers became estranged and killed each other. 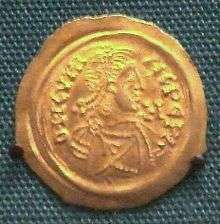 Subsequently Longinus sent Albsuinda and the treasure to Constantinople. 1 2 3 4 5 6 7 8 9 10 11 12 13 14 15 16 17 18 19 20 Bertolini 1960, pp. 34–38. ↑ Christie, Neil (1995). The Lombards: the Ancient Longobards. Blackwell. pp. 38–41. (Italian) Azzara, Claudio. L'Italia dei barbari. Bologna: il Mulino, 2009, 978-88-15-08812-3. (Italian) Bertolini, Paolo. "Alboino, re dei Longobardi", Dizionario Biografico degli Italiani. Alberto M. Ghisalberti (ed.). v. 2, Rome: Istituto dell'Enciclopedia Treccani, 1960, pp. 34–38. (Italian) Gasparri, Stefano. "I longobardi: all origini del medioevo italiano". Storia Dossier, (1990) 42, Florence: Giunti. ISBN 88-09-76140-5. (Italian) Jarnut, Jörg. Storia dei Longobardi. Turin: Einaudi, 1982 , ISBN 88-06-13658-5. (Italian) Lane, Frederic C.. Storia di Venezia. Turin: Einaudi, 1973 , ISBN 88-06-12788-8. (Italian) Ostrogorsky, Georg. Storia dell'impero bizantino. Turin: Einaudi, 1963 , ISBN 88-06-13178-8. (Italian) Palmieri, Stefano. "Duchi, Principi e Vescovi nella Longobardia meridionale", Longobardia e longobardi nell'Italia meridionale: le istituzioni ecclesiastiche. Giancarlo Andenna e Giorgio Picasso (eds.). Milan: Vita e Pensiero, 1996, pp. 43–99. ISBN 88-343-0496-9. (Italian) Rovagnati, Sergio. I Longobardi. Milan: Xenia, 2003, ISBN 88-7273-484-3.